Send and receive faxes via email, Nextiva online portal, or even your fax machine. Manage your faxes from any Internet browser or mobile device. Set up instant messages to be notified of sent or received faxes. Manage all of your current or archived faxes from a single location. Get the perks of fax to email and continue to use your machine. Connect to your Nextiva control panel. From the Dashboard, select Fax Settings or Update Profile. From the Profile, select Notifications, here you can find the email address which receive the faxes. I suggest you this tutorial directly from Nextiva ». Sometimes you need to send a fax as confirmation or when you receive a specific email, it is easy with a digital fax because you just need to send your fax (pdf) as email attachment, in the field "To:", type the fax number, followed by @nextivafax.com. 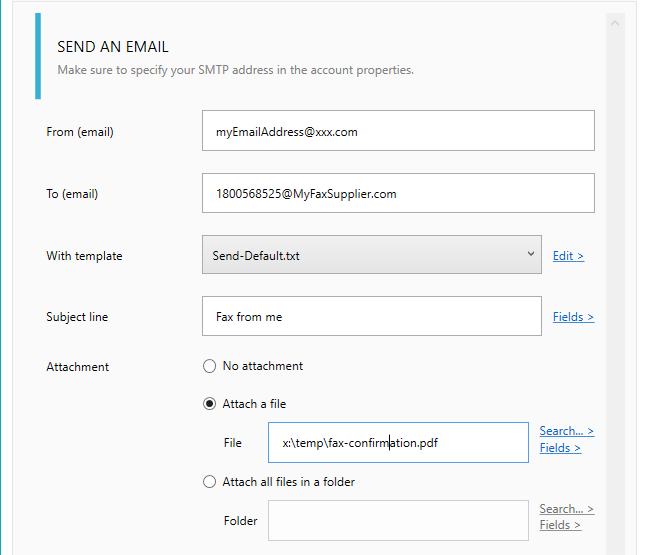 Note: When registering to Nextiva email-to-fax service, you can define which email addresses will be allowed to send fax, make sure to use the same in the field 'FROM'. - In the ‘To:’ field of your email simply enter the correctly formatted fax number followed by the extension ‘@nextivafax.com’.